A wholly owned subsidiary of National Vision, Inc. and headquartered in metro Atlanta, America’s Best operates several of the highest-volume eyeglass manufacturing labs in the country. With over 400 retail stores across the country, America's Best consistently delivers millions of pairs of quality eyeglasses, contact lenses and eye exams to their customers at the low prices America deserves every day. America's Best carries a wide selection of eyeglass frames, spectacle lenses and contact lenses. Eye exams are available on site and are performed by a professional optometrist. Stores are equipped with state-of-the-art optometric equipment to ensure delivery of the best eye care available. America’s Best combines both parts of the optical equation - eyewear and eye care - into one great experience at one low price. *In certain states, eye exams are provided by independent Optometrists or Ophthalmologists. Blaze Fast-Fire’d Pizza serves artisanal quality, custom-built pizzas in under 2 minutes at a very affordable price. 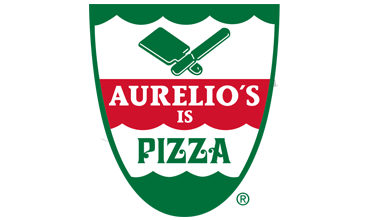 Each pizza starts with a perfectly proofed dough into a generous 11-inch personal sized pizza crust. Blaze's menu offers 8 signature pizzas, giving customers a suggested starting point for their perfect pie, making ordering fast and easy. Guests step to the counter and oversee their pizza’s construction — Blaze’s assembly line format allows guests to customize signature pizzas or create their own from a variety of fresh toppings ranging from inventive (marinated artichokes, gorgonzola, roasted red pepers) to classic with a contemporary twist (ovalini mozzarella, cherry tomatoes, sauce drizzles and dollops). 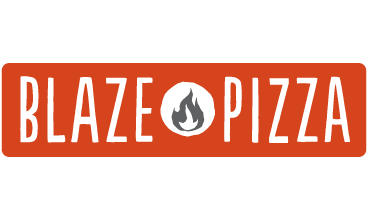 Blaze then sends each pizza to an open-hearth oven to be fast-fire’d. The blazing hot oven, with a three-sided flame, is the key to Blaze’s quality and speed of service. Blaze Pizza is “defining a new restaurant category” according to Forbes and was named one of Business Insider's “ 5 up-and-coming fast food chains taking over America”. Blue Martini offers specialty martinis, craft cocktails, and tempting tapas. Blue Martini locations offer guests three different atmospheres for a great experience, a casual patio, a live-music stage, and an exclusive VIP lounge. Blue Martini takes pride in offering only the very best service for all guests from the moment they walk through the door until the moment they leave. Blue Martini locations are the perfect spot for everything, from date night to private events. Blue Martini currently operates 12 locations in major US cities with several more locations opening soon. Baum NRES supports this client in their national franchised growth. Please call for more information or a list of active markets. 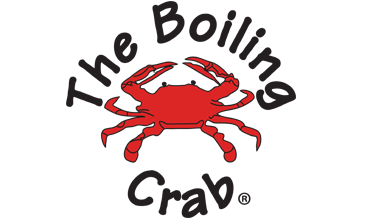 The Boiling Crab restaurants are casual, full dining venues modeled after traditional seafood boils from the coastal regions of Louisiana and Southern Texas, where eating shellfish is a social event. The restaurants capture the spirit of the convivial seafood boil by featuring a variety of market fresh seafood entrees prepared Cajun-style and served with different sauces, from mild to highly spicy. The Boiling Crab restaurants feature an informal dining atmosphere with nautical theme décor. The menu at The Boiling Crab restaurants typically includes one or more varieties of crab, crawfish, lobster, shrimp and raw oysters. Fresh seafood entrees are prepared in giant pots of seasoned broth, made to order and served in bags (to preserve flavor) on paper covered tables. Traditional utensils are optional, as many consider the art of the seafood boil to include peeling and eating seafood with one’s hands. The menu also includes fried options such as fried catfish or shrimp with Cajun fries, gumbo and side dishes. The Boiling Crab restaurants serve fountain beverages and possess a license to serve beer and wine. Steve Ells, founder, chairman and co-CEO, started Chipotle with the idea that food served fast did not have to be a typical fast food experience. Today, Chipotle continues to offer a focused menu of burritos, tacos, burrito bowls (a burrito without the tortilla) and salads made from fresh, high-quality raw ingredients, prepared using classic cooking methods and served in a distinctive atmosphere. Through the vision of Food With Integrity, Chipotle is seeking better food from using ingredients that are not only fresh, but that—where possible—are sustainably grown and raised responsibly with respect for the animals, the land, and the farmers who produce the food. 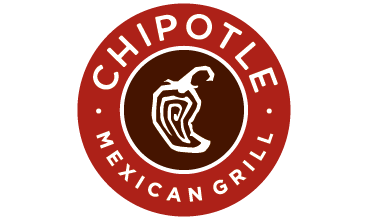 In order to achieve this vision, Chipotle focuses on building a special people culture that is centered on creating teams of top performers empowered to achieve high standards. Chipotle opened with a single restaurant in 1993 and operates more than 1,900 restaurants, including 22 Chipotle restaurants outside the US, 11 ShopHouse Southeast Asian Kitchen restaurants, and is an investor in an entity that owns and operates three Pizzeria Locale restaurants. Club Pilates is looking for column free studio space with two parallel walls that are a minimum of 40’. They are open to ground floor, lower level and second floor space. 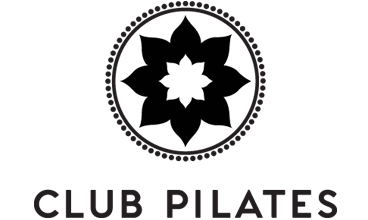 Club Pilates is a fitness studio featuring state of the art equipment including Reformers, the Chair, the Springboard and the Barre. High traffic and high visibility locations with middle and upper middle demos. Drive thru is preferable. The cure for the common burrito. Currito is a dining experience you can feel good about. Currito believes a burrito can be so much more than… a burrito. It’s not just about fresh ingredients (which they use) and it’s not just Mexican flavors (which they have). It’s about new tastes and flavors from all over the world — the kind you’d never expect to find inside a tortilla. It’s also about combining them into something so uniquely good, you’ll be sure to come back for more. Currito is a Cincinnati based company with franchises that are spreading across the country. 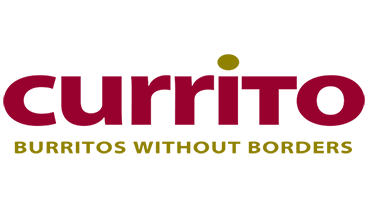 Currito supports their franchisees in site selection, lease negotiation, construction, training, marketing, design and ongoing operations. CycleBar is a premium indoor cycling concept. CycleBar boasts a state of the art lighting and sound system in a custom theater with professional sound attenuation for up to 50 riders. For over 60 years, Denny’s has serviced America great food at fair prices. This simple formula, executed millions of times, has made Denny’s the largest family dining restaurant chain in the world. Although Denny’s is known as the place to get a real breakfast, each Denny’s restaurant offers a full menu and most locations are open 24 hours a day, 365 days a year. From craveable burgers, sandwiches, salads and entrees to The Original Grand Slam, Denny’s offers something for everyone in a come as you are atmosphere. 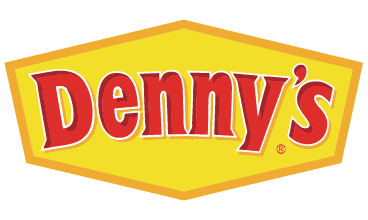 With over 1,700 restaurants worldwide, Denny’s continues to grow. 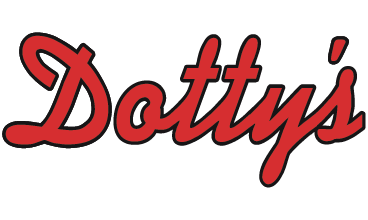 The Dotty’s business model began in Oregon in 1992. The company founder developed the concept as an alternative to the traditional sports bar / restaurant establishment. Dotty’s would be different. Dotty’s locates in major shopping centers with well lit, safe and secure close in parking.Interiors are warm and welcoming featuring bright open spaces with and country kitchen appeal. The rotating food menu of established favorites and wide selection of beer and wine provide something for everyone over 21. However, Dotty’s targeted customers consume more cold drinks and great Dotty’s coffee while catching up with friends. Loyal patrons are primarily older women who appreciate the non-intimidating relaxed friendly atmosphere. Baum NRES supports this client in their national corporate growth. Please call for more information or a list of active markets. Duluth Trading is a rapidly growing lifestyle brand for the modern, self-reliant American. 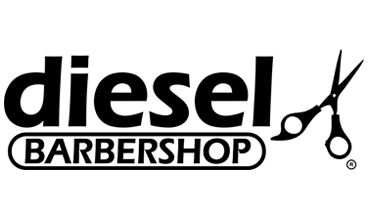 Based in Belleville, Wisconsin, Duluth Trading Co. offers high quality, solution-based casual wear, workwear and accessories for men and women who lead a hands-on lifestyle and who value a job well-done. Duluth Trading provides customers with an engaging and entertaining experience. Their marketing incorporates humor and storytelling that conveys the uniqueness of their products in a distinctive, fun way, and Duluth Trading products are sold exclusively through their content-rich website, catalogs and “store like no other” retail locations. 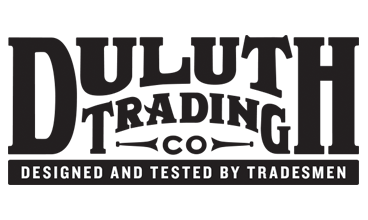 Duluth Trading is committed to outstanding customer service backed by our “No Bull Guarantee" – if it’s not right, they’ll fix it. Endurance House is a purveyor of specialized equipment for endurance enthusiasts. The Endurance House retail concept differs from traditional specialty running and bike stores and attracts a slightly different customer. 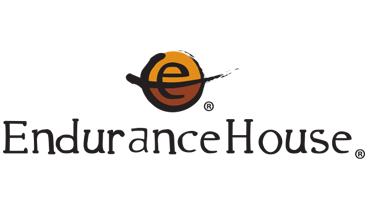 Endurance House’s mission “To provide Gold Standard Guest Service to Triathletes, Runners, and Walkers of all abilities in a genuine and encouraging atmosphere” has resonated with people from all over the country. The Endurance House customer base is made up of triathletes of all abilities, but they also appeal strongly to people from all walks of life that have an interest in leading a healthy active life-style. 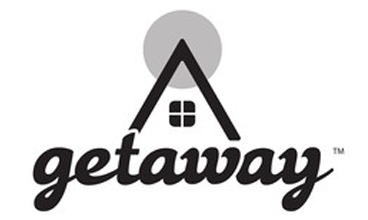 What sets Endurance House apart is their focus on relationships and proprietary service applications that connect with guests in unique ways. One of Endurance House’s core values is making our stores accessible to “the average person” in a way that enables them to “Redefine Their Possible”. The Endurance House concept invigorates a market-place by offering a unique alternative to big box and mom-and-pop stores in their industry channel. Five Guys has been a Washington, DC area favorite since 1986. The little burger joint quickly developed a cult-like following. Press paid attention. Customers voted the burger”#1” in the metro area. Five Guys was The Place to get a fresh, juicy burger with all the toppings you could stuff between fresh-baked buns. 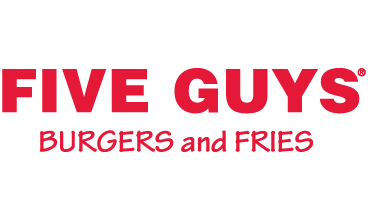 Early in 2003 Five Guys began offering franchise opportunities. In just under 18 months, Five Guys Enterprises sold options for over 300 units. The overwhelming success of franchising a local restaurant made national news with articles in trade publications such as Nation’s Restaurant News, Restaurant Business Magazine, and the Franchise Times. Now, 30 years after Five Guys first opened, there are over 1,000 locations nationwide and over 1500 units in development. Five Guys continues to receive media attention and has grown a cult-like following around the world. Flirty Girl Lash Studio is focused on providing luxury eyelash extensions and brow services at an affordable price. Flirty Girl Lash Studios are a friendly, positive environment where guests can relax knowing the staff is focused on creating a positive experience every time they visit. The salon experience is easy and efficient from the consultation through the checkout process. Flirty Girl signature lash applications use top-of-the-line eyelash extensions paired with classic & up-and-coming styles that can be customized to suit every personality — from an everyday natural look to full on glamour. Flirty Girl also provides lash lift services for clients who want to make their natural lashes look great. A full brow bar offers microblading and brow waxing. Target is heavily wooded areas with walking trails, ponds, great views and far enough from vehicular traffic to ensure 100% quiet. Upscale camping Getaway builds collections of tiny houses on wooded plots of land just outside the city where you can go to recharge in nature, reconnect with people you love, and rekindle an interest in life unplanned. 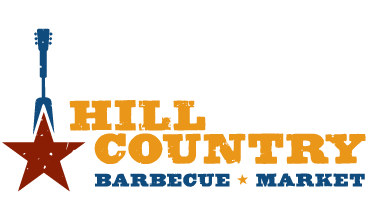 Hill Country honors the barbecue and live music capital of Texas and takes its “cue” from the legendary meat-markets-turned-barbecue-joints of Central Texas with their distinctive, dry-rub style. All barbecue is cooked fresh daily on premise in a custom meat-smoking room. Brisket, sausage, ribs and other meats are smoked low and slow over Texas post oak and are served on butcher paper, counter-style by the pound as is traditional in Central Texas. Updated versions of classic Southern sides and sweets, created by executive chef Elizabeth Karmel, include Longhorn Cheddar Mac & Cheese and Peanut Butter & Jelly Cupcakes. Hill Country features a marketplace full of Lone Star State favorites such as Kreuz Market sausage, Big Red soda, and Blue Bell ice cream. The bar offers a wide selection of long-neck beers, tequila, bourbon, and specialty cocktails. Hill Country doubles as a performance venue, with performances that include frequent visits from national touring acts. The stage at Hill Country, with its state-of-the-art sound system, has welcomed legendary artists such Dale Watson, Heybale!, Bob Schneider, and Rosanne Cash. Many of Hill Country Live’s performances are free to the public. Honey Butter Fried Chicken believes that you should feel good about your food—where it comes from, how it’s prepared, how it is served and by whom. So when you eat their chicken, their sides and their desserts, Honey Butter Fried Chicken hopes you’ll spend some time thinking about the ideas behind every bite. 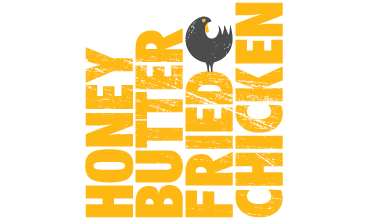 Honey Butter Fried Chicken serves only humanely raised, antibiotic free chickens from Miller Amish Farms in Indiana. They butcher the chicken right in their kitchen, brine and batter it, and fry it in non-GMO, trans-fat-free canola oil. And they don't stop at awesome chicken. From the cheese in their pimento mac ‘n cheese, to the toffee in their cookies, to the cornmeal in their muffins, to the honey in their butter, they responsibly source ingredients from small farmers and like-minded, local businesses that share their values. In their kitchen, nothing goes to waste. In addition to breasts, thighs, and drumsticks, Honey Butter Fried Chicken crafts dishes using the wings, tenders, bones, skin, and fat. They don’t dump the oil they use to fry their chickens—instead it’s sold back to their supplier, who transforms it into biodiesel fuel. This philosophy of wasting as little as possible extends to every aspect of their restaurant. All of their packaging, from straws to cups to chicken boxes are compostable and biodegradable. In fact, Honey Butter Fried Chicken works with the Chicago Resource Center to compost 80% of all waste produced in the restaurant. Their philosophy also extends to their suppliers. They call them their friends and allies, who inspire Honey Butter Fried Chicken's dishes and provide the ingredients that help make your dining experience unique. And damn tasty. Insomnia Cookies offers a variety of cookies delivered warm from the oven. Retail stores open at 9 am and delivery hours are 10 am to 3am! 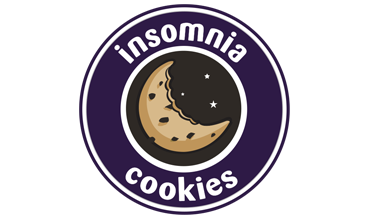 Primarily serving college students and the late-night crowd, Insomnia Cookies also offers nationwide gifting options and a catering menu for businesses, parties and other events. Standard cookie flavors are Chocolate Chunk, Double Chocolate Chunk, White Chocolate Macadamia, Oatmeal Raisin, Snicker¬doodle, M&M, Peanut Butter and Double Chocolate Mint. Insomnia Cookies also offers deluxe size cookies. These colossal treats are more than double the size and twice the taste of regularly sized cookies. Deluxe cookie flavors are Triple Chocolate Chunk, Chocolate Peanut Butter Cup and S’more. In addition to cookies, Insomnia Cookies’ menu includes brownies with a choice of top¬ping baked on top and nine-inch cookie cakes for those special occasions. And don’t forget, the requisite pint of cold milk is available with any order. 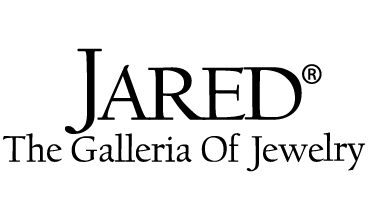 Jared is a leading off-mall destination specialty retail jewelry store chain serving upper middle market customers. Jared locations are normally free-standing sites with high visibility and traffic flow. Jared accounted for 21% of Signet’s sales in Fiscal 2015 with sales of $1.2 billion and average sales per store of $4.8 million. Jared operated 253 stores in 39 states as of January 31, 2015. The typical Jared store has about 4,800 square feet of selling space and approximately 6,000 square feet of total space. Jared locations are normally free-standing sites with high visibility and traffic flow, positioned close to major roads within shopping developments. Jared stores usually operate in retail centers that normally contain strong retail co-tenants, including big box, destination stores and some smaller specialty units. Jared also operates an outlet-mall concept known as Jared Vault. These stores are smaller than off-mall Jareds and offer a mix of identical products as Jared as well as different, outlet-specific products at lower prices. Every Jared store has an on-site design and repair center where most repairs are completed within one hour. The facility also mounts loose diamonds in settings and provides a custom design service when required. Each store also has at least one diamond viewing room, a children’s play area and complimentary refreshments. Relatively open footprint with high visibility, ample loading zone/parking lot for delivery drivers. In place black iron a plus. 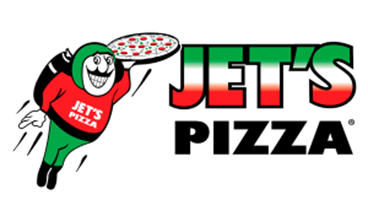 Jet’s Pizza® has rapidly risen through the ranks to become the twelfth largest pizza chain in the nation, by sales (PMQ, 2012), with over 350 locations and plans for rapid future growth. The new Jiffy Lube prototype is a 4,042 square foot building, with 4 bays, and waiting room for customers. The ideal land size is approximately one acre of ground, however based upon site dimensions and setbacks, .8 acres to 1.1 acre will accommodate the development. Excellent visibility to vehicle and pedestrian traffic, minimum 25,000 vehicles per day pass site, minimum 25,000 residents within 3 mile radius and 50,000 residents within 5 mile radius, minimum of $50,000 income for 3 and 5 mile radius with significant dollars spent on vehicle maintenance and repairs on annual basis. Jiffy Lube, a division of The Shell Oil Corporation, has been in business since 1979, serving over 20 million customers per year, and has over 2,000 franchise units in North America. Jiffy Lube pioneered the fast oil change and the quick lube industry by establishing the first drive-thru service bay, and later created the windshield cling / notification letting customers know when it was time for their next Jiffy Lube oil change service. 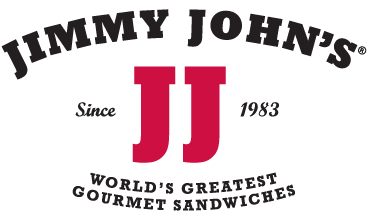 Jimmy John’s World’s Greatest Sandwiches are made from the highest quality meats, cheeses and toppings available. The fresh vegetables that go into all our sandwiches are cut daily. Our breads are baked fresh in our stores everyday. Each sandwich is made one at a time, fast and flawless. Jimmy John’s success is built upon an unyielding commitment to quality coupled with an unbeatable, repeatable process. 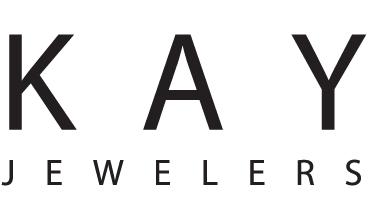 Kay Jewelers is the largest specialty retail jewelry store in the US based on sales and targets the middle market. Kay accounted for 41% of Signet’s sales in Fiscal 2015 with sales of $2.3 billion and average sales per store of $2.1 million. Kay operated 1,094 stores in 50 states as of January 31, 2015. Kay operates in regional malls, outlet malls and power centers. 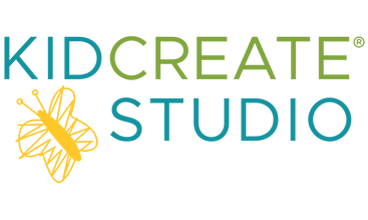 Kidcreate Studio specializes in children's art classes, camps and art themed birthday parties. Inspired by the craft beer scene in the Pacific Northwest, Cary Michael and Michael Quinlan created Links Taproom as a neighborhood gathering place focusing on craft beer and great food. Cary’s skills and experience in running restaurants and Quinlan’s Cicerone studies and passion for American craft beers proved to be a recipe for success when Links Taproom opened its doors to the public on January 11, 2014. Links Taproom features 36 American craft beers on tap, 3 cask beers, 5 tap wines, and a large format bottled beer list built for sharing. Links serves housemade sausages, hand cut french fries and other snacks made from scratch in the Links kitchen. Links Taproom has been named as one of the “18 Best New Bars In Chicago”, ranked one of the “10 Chicago Sports Bars with Killer Food", and listed as one of the “11 Best Openings of the Winter” as well as having one of the “9 Best Sausages in Chicago”. 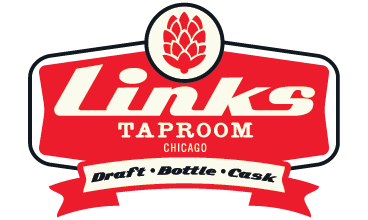 Links Taproom has also been favorably reviewed in Chicago Magazine, Chicago Reader, and the Chicago Tribune among others. 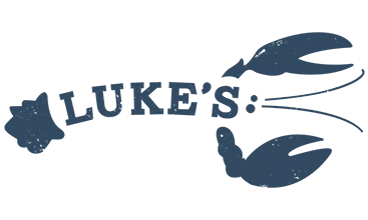 Luke’s Lobster is a seafood QSR served straight from the source, prepared pure and simple. 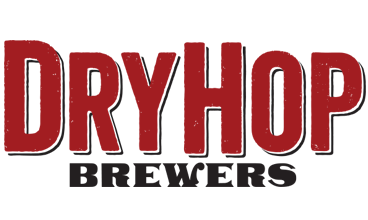 They source sustainable ingredients and pair their seafood with chowders and bisques, Main-style sides, local desserts, natural sodas and local microbrews. McAlister’s Deli is a fast casual restaurant chain known for our sandwiches, spuds, soups, salads, desserts and McAlister’s Famous Sweet Tea™. In addition to dine-in and take-out service, McAlister’s offers catering with a selection of sandwich trays, box lunches, desserts, a hot spud bar and more. The McAlister’s brand has over 350 restaurants in 26 states. Technomic recognized McAlister’s twice in its Chain Restaurant Consumers’ Choice Awards — in 2014 as the top kid-friendly fast casual chain and in 2013 as the top fast casual chain for food and beverage. In 2014, Nation’s Restaurant News named McAlister’s the top limited-service sandwich chain in its Consumer Picks Survey. Also in 2014, QSR Magazine recognized the brand as one of the “Best Franchise Deals” and named McAlister’s to its QSR 50 list. 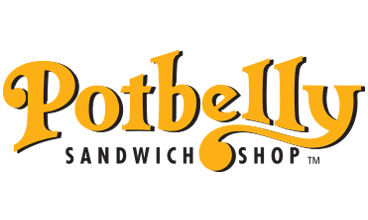 FastCasual.com also recognized the brand on its “Top 100 Movers and Shakers” list of 2014, and Franchise Business Review named McAlister’s one of 2014′s “Top Franchises” in the Food and Beverage category based on franchisee satisfaction. 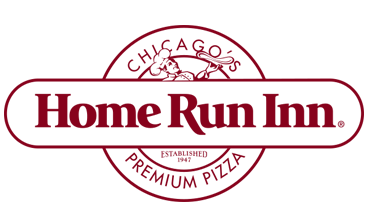 Nick's Pizza and Pub is a Chicago-based pizza restaurant chain that serves pizza, calzones, sandwiches, burgers, salads and appetizers. Founded in 1995 by Nick Sarillo, the company boasts over 20 years of operating history. Nick’s Pizza & Pub is one of the 10 busiest independent U.S. pizza companies in per-store sales. 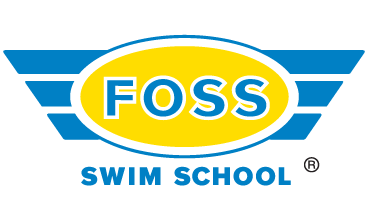 They currently have 3 locations in the Chicago MSA including: Elgin, Crystal Lake and Chicago (Lincoln Square). PDQ is known for fresh hand-breaded chicken tenders but their commitment to quality fresh food doesn’t stop there. PDQ prides themselves on delicious sandwiches and salads made with the finest ingredients. Signature sauces and dressings are homemade everyday. Fries are fresh-cut right in the restaurant and guests can even see PDQ masters at work from the drive-thru. Hand-spun milkshakes round out the perfect meal. All menu items are made to order and PDQ believes fresh high-quality food can be served fast, at a price you’ll love. 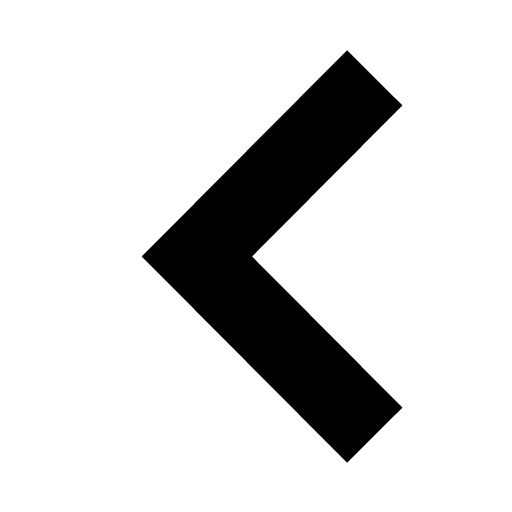 PLS stands for People – Location – Service. 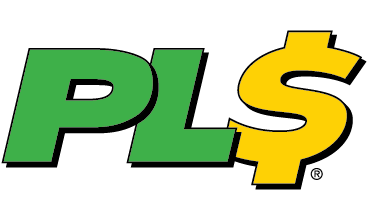 PLS provides in-demand financial products and services for the more than 80 million U.S. consumers who are poorly served by traditional financial institutions. 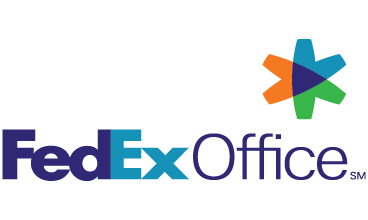 PLS, headquartered in Chicago, operates or manages nearly 400 financial services centers in markets that span the U.S. from California to New York. PLS is ranked among the Top 100 Job-Creating Companies in the U.S. by Inc. magazine and is listed among Inc.’s 5000 Fastest-Growing Private Companies in America. The company has been named one of the 101 Best and Brightest Companies to Work for in Chicago by the National Association for Business Resources. PLS serves customers through its PLS check cashing locations, which offer check cashing, prepaid Visa® debit cards, money transfer services, direct deposit services, money orders and bill payments; PLS loan store locations, which provide consumer short-term loans and auto insurance; and PLS motor vehicle services facilities, which offer vehicle license and registration services. 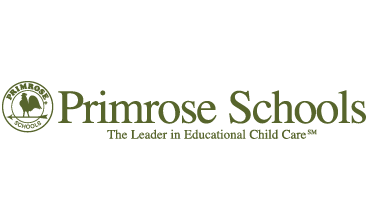 Primrose Schools is a national system of accredited private preschools that provides a premier early education and child care experience for children and families. Primrose Schools was the first education organization to earn Corporation Systems Accreditation through AdvancED, a 100-year-old non-profit made up of the largest community of education professionals in the world. The purposeful curriculum for infant care and early education has passed through many levels of scrutiny from an expert education panel and esteemed advisory board. At Primrose, the focus is always on what will best serve the needs of Primrose children and families with an eye on innovation and advocacy for quality early education for all children. Primrose provides a unique, meaningful learning path–a blueprint–that enables teachers to guide children in the development of the knowledge and skills they need to advance from one year to the next. A blend of child-initiated and teacher-guided activities, the Primrose curriculum excels with a special emphasis on character development. Every toy, block, lesson plan and book has been thoroughly researched and planned. It's a proven model built on a trusted partnership between parents, teachers, school leadership teams and Primrose. Primrose currently has more than 300 schools in 25 states and are on target to reach 500 schools by 2020. Pure Barre is a collection of 45-50 minute total body workouts. At the core of their technique they use a series of low impact, isometric movements that are designed to produce results. You'll use the ballet Barre and other light equipment as you move through class, focusing on different areas of your body. A new fitness concept that’s built around rowing. Rowing is low-impact, non-weight bearing, high energy training that welcomes all people of all age ranges and all fitness levels. Rumble is looking for column-free studio space with either 6,000 sf on the ground floor or 6,500 sf split between the ground and second floor. Extensive signage is needed as well. 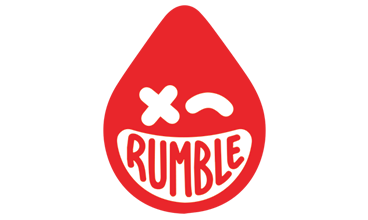 Rumble is a group fitness studio that combines HIIT (High Intensity Interval Training), strength training, metabolic conditioning (METCON) and uppercut-throwing cardio in one clean class. Rumble is founded by four entrepreneurs who saw an opening in the group fitness world to shake up stale norms. From their unique backgrounds—hospitality, service and fitness education—and their shared urban-chic-meets-street POV, comes Rumble—the next generation of group fitness. One that doesn’t take itself too seriously but still delivers an incredible and effective workout. Scout & Molly’s is a Class A retail storefront business catering to women of Mid to high income households. Scout & Molly’s is a boutique for women of all ages. Scout & Molly’s was first born in March of 2002 in North Carolina. Founder Lisa Kornstein had recently completed her studies at the University of South Carolina where she earned a Master’s Degree. The first Scout & Molly’s Boutique opened in Raleigh, NC in 2002. At the end of the 3rd quarter of 2015 Scout and Molly’s will have 10 stores open and another 13 in various stages of development to open soon. Look for Scout and Molly’s coming to Houston, Philadelphia, Westport, Baltimore, New York City, Los Angeles, Tampa, Northern San Francisco, Tampa, Lexington and many more to come. 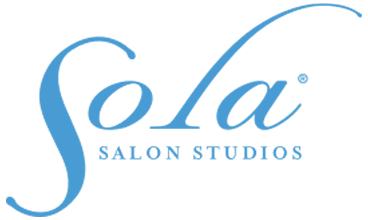 Sola Salon Studios was established in 2004 with the opening of their first location in Denver, CO. Now with more than 300 locations open nationwide, they proudly offer salon professionals the freedom and benefits of salon ownership without the upfront costs and risks associated with opening a traditional salon. Their innovative salon model empowers hairdressers, estheticians, nail techs, massage therapists and other like-minded professionals to take control of their lives and their careers. They provide beauty professionals with high-end, fully-equipped salon studios alongside the support and tools they need to launch their salon business in no time. Spa Derma is looking for ground floor or second floor space in the West Loop with minimal windows. 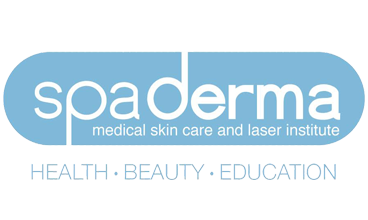 Spa Derma is a premier Med Spa offering state of the art treatments for skin care needs. High visibility and strong density are key for this tenant. They also very much like being near competition. This 300 plus authorized agent fresh off a 100 store acquisition is moving swiftly into the Chicago market. Looking for high visibility sites in several markets within the Chicago Metro market. Since 1971, Starbucks Coffee Company has been committed to ethically sourcing and roasting the highest quality arabica coffee in the world. 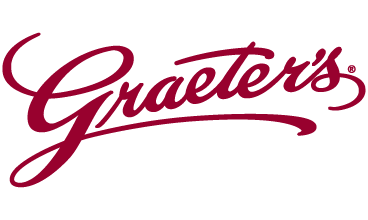 Today, with stores around the globe, the company is the premier roaster and retailer of specialty coffee in the world. Through their unwavering commitment to excellence and guiding principles, the company brings the unique Starbucks Experience to life for every customer through every cup. Starbucks stores are a neighborhood gathering place for meeting friends and family. Customers enjoy quality service, an inviting atmosphere and an exceptional cup of coffee. 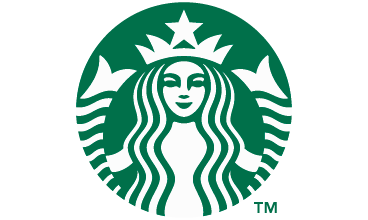 Starbucks currently operates 23,043* stores (as of September 27, 2015) worldwide. *Includes Starbucks Coffee, Teavana, Seattle’s Best Coffee and Evolution Fresh retail locations. StretchLab is the premium destination for assisted stretching and stretch classes. It was founded to be complementary to other fitness programs and designed to benefit a wide variety of clientele ranging from student athletes to active seniors. SusieCake’s offers classic treats that are made daily by in-house bakers, using the freshest and finest ingredients. They create delicious, sentimental sweets and a friendly, old-fashioned neighborhood experience. 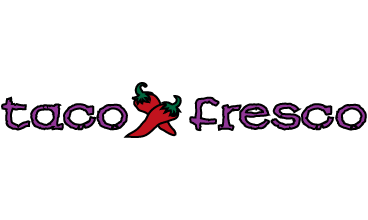 Taco Fresco restaurants are a fast growing chain of fast food and dine-in fresh, healthy Mexican food restaurants. 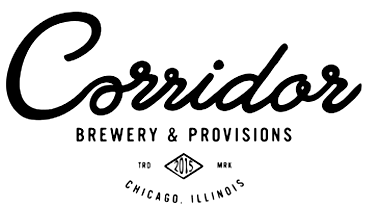 The company has developed a market niche in the downtown and suburban markets area offering fast, fresh Mexican food in a clean, efficient environment. Taco Fresco specializes in Mexican favorites like tacos, burritos, quesadillas, and tostadas served up quick, fresh and healthy. Inspired by the food found in Chicago’s Hispanic neighborhoods, Taco Fresco is an authentic, healthy alternative. Taco Fresco also has a large variety of salsas, salads and side dishes. Taco Fresco operates 3 locations in downtown Chicago, 2 locations in Naperville and 1 location in St. Charles. The extraordinary success of the Taco Fresco concept inspired the launch of Salsaria, a family oriented, upscale Mexican restaurant located in Elmhurst. Salsaria specializes in grilled meat and seafood entrées and compliments its succulent menu with authentic margaritas and fresh squeezed lemonade. 6,000 – 10,000 SF of second generation space. Ideally closer to 6,000 with outdoor space for dog exercise areas. If outdoor space is not available then will consider closer to 10,000 SF. Higher Income Areas Close to Main Traffic Arteries. Or – downtown locations close to high daytime population. Must be able to modify the exterior to look like the Dog Stop "brand" by being able to paint with TDS colors, add graphics, signage and/or awnings. 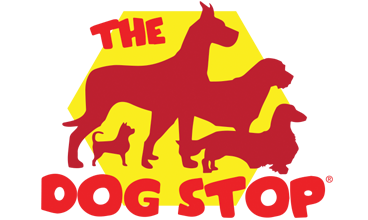 The Dog Stop is America’s best all-inclusive dog care facility featuring dog day care, overnight boarding, grooming, obedience training, in-home services and a specialty pet retail store. Facilities at The Dog Stop cater to letting dogs do what they do – whether it’s running in backyards, playing with friends, getting a treatment in the grooming spa or just lounging around. Pups who enjoy daily playtime and physical activity are better adjusted, less stressed, healthier and happier – so The Dog Stop focuses on lots of exercise and playtime for every pup. Trained canine companions are fully prepared for belly scratches, hugs ‘n kisses, as well as many interactive games, puzzles and training lessons for all visiting pups, ensuring that each visit to The Dog Stop is a pawsitively perfect experience. The retail store offers the best foods, toys, treats and accessories available on the market. Every product carried has gone through a careful and detailed procurement process to ensure a happy and healthy pet. 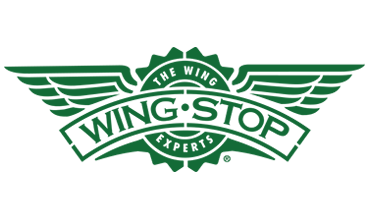 The Dog Stop currently has 9 locations across 4 states including Pennsylvania, Ohio, Louisiana and Delaware with several more in development and is poised for significant growth in the years to come through our franchise program. Tide Dry Cleaners provides a dry cleaning experience that features a state-of-the-art facility that is clean and bright inside. 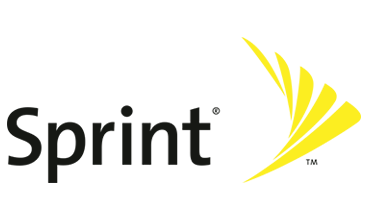 The customer-centric services cater to today’s on-the-go customer. The staff is ready to put the customer’s satisfaction level over the top! Tide Dry Cleaners is proud to use the GreenEarth® Cleaning technology, with amazing stain removal, color maintenance and a light, fresh scent. The odorless D5 process is silicone based, not petroleum based like typical dry cleaners. This makes it possible to clean a wide range of garments, including some leathers and furs. 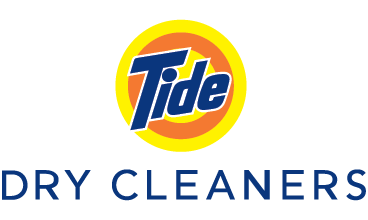 Tide Dry Cleaners offers a variety of proprietary services, including Back-To-Black™, Tide SpotLift™, Tide Restore™ and Tide ColorGuard™. Tide Dry Cleaners offers drive-thru valet service and 24-hour locker access. 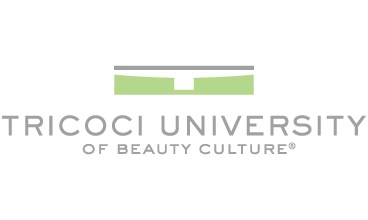 Tricoci University of Beauty Culture is committed to teaching a new generation of beauty industry students, ethical leadership, values, and advanced skills preparing them for their state licensing examinations and careers in Cosmetology, Esthetics, or Nail Technology, Arts and Sciences. The Company’s culture has been formed principally by Mario Tricoci’s high degree of professionalism, taste, aesthetic refinement and work ethic. As with his salon business, the resulting culture of TUBC is hard-working, professional, creative and loyal. 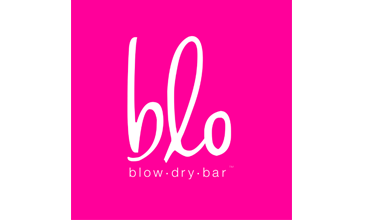 This culture, along with the Company’s superior programming and facilities, has elevated the industry’s standards for the teaching of beauty school students and for the operating of a beauty school clinic. True Value locations span from cities to small towns and stores reflect all sizes. Whether start-ups or multi-generational businesses rooted in the community, True Value retailers share a common commitment: to deliver a compelling shopping experience with an inviting, well-stocked store and superior customer service. Independent retailers offer categories and assortments based on what they believe best meets their local customers’ needs. This allows customers across the country to shop any True Value and receive the expert advice, products and inspiration they need to complete their small home improvement projects. 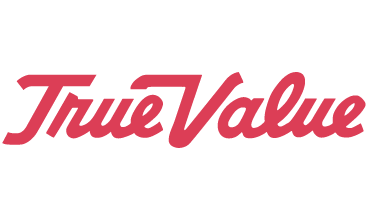 The True Value cooperative includes approximately 4,400 independent retailer locations worldwide operating under the store identities of True Value, Grand Rental Station, Taylor Rental, Party Central, Home & Garden Showplace and Induserve Supply. With 15 open studios, another 50 coming soon, and plans to open 300 locations across the U.S. over the next few years, YogaSix is a modern fitness boutique offering a fresh perspective on one of the world’s oldest fitness practices. As the best-known name in retail jewelry, Zales Jewelers has a broad selection of classic and contemporary styles. 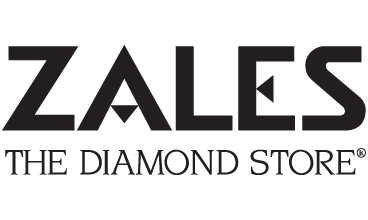 Zales stores sell more diamond jewelry than any other jeweler in North America. In addition to diamond fashion jewelry, Zales offers gold, cultured pearls and an extensive wedding jewelry selection. In fact, it is the extensive bridal collection that represents the largest part of the chain’s business. Zales Jewelers also offers a fine selection of merchandise on the Internet at www.zales.com. With a presentation similar to a Zales store, Zales.com provides its customers with the convenience of shopping online. In addition, the ‘Product Knowledge’ page is an informative source Zales customers can use to learn more about the proper care and appreciation of jewelry, as well as become educated on their purchase. Leveraging Zales’ strong brand name, Zales.com provides yet another channel to make a jewelry purchase an enjoyable experience. Throughout its history, Zales Jewelers has driven change and set standards in the jewelry industry. With its commitment to simplified credit options and convenient shopping through Zales.com, Zales Jewelers continues to be the leader in fine jewelry retailing.